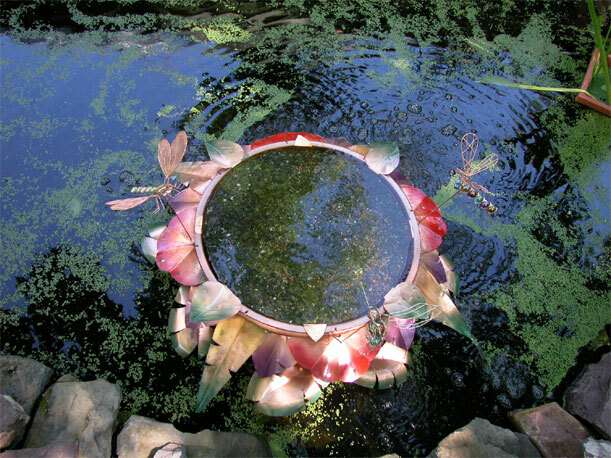 This copper hosta is fabricated from a 3 foot diameter plexiglas bubble, copper sheeting, and copper piping, and is fed by a 2100 gph pump. 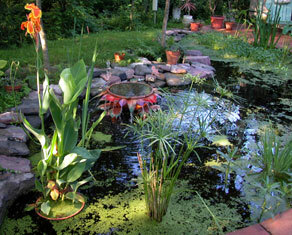 The water overflows, creating a bird bath, adding aeration to the pond, and producing pleasant sounds within earshot of our studios. 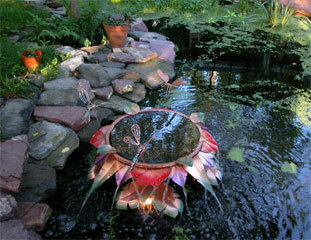 We can design and fabricate custom water fountains to add delight to your pond or water feature.